If you can draw it, we can sew it! 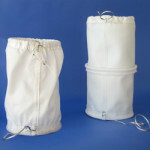 Sift-Sock fabrics are easily customized to meet your specific requirements. 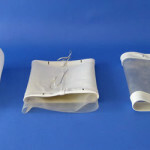 Connecting sleeves, machine and bin covers, load-out chutes, dust-control bags are available in a large selection of dust-tight and breathable fabrics. These include fabrics rated for high temperatures, chemical exposure, constant flexing and abrasion resistance. Sift-Socks can be fabricated with custom hems, a variety of inner/outer sleeve combinations, static-control materials and more. Get better connected with Sift-Socks for all your custom sewn product needs. Siftex is a premier provider of fabric connectors in any combination of length, shape, connection, diameters and materials. If you can design it, we can sew it! Ground Wire – Sewn inside seam running the length of sleeves to conduct static electricity for improved grounding and safety. 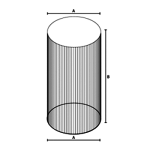 Flanges – Sewn into sleeve ends to allow bolt-on installation to flange plates. Snap-on “shock cord” hems make installation a snap. Sleeve stays in place during installation; won’t slip off pipe. Secure with hose clamp. If you can sketch it, Siftex can make it! First we need the correct measurements. Here are some tips on measuring to help you get better connected. 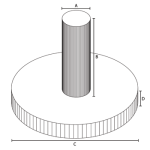 Diameter = the length of a straight line across the center of a CIRCLE. Measure the diameter in INCHES. The outside diameter (O.D.) of the spout you measure is the inside diameter (I.D.) of the spout connector we will supply. Circumference = the length around the perimeter or outside of a circle, oval or rectangular shape. The circumference of a CIRCLE divided by 3.1416 equals the diameter. A circumference of 25.13 inches = 8 inch diameter. 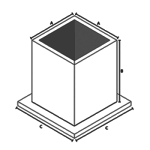 1/2 of the circumference or lay flat dimension* not the diameter.